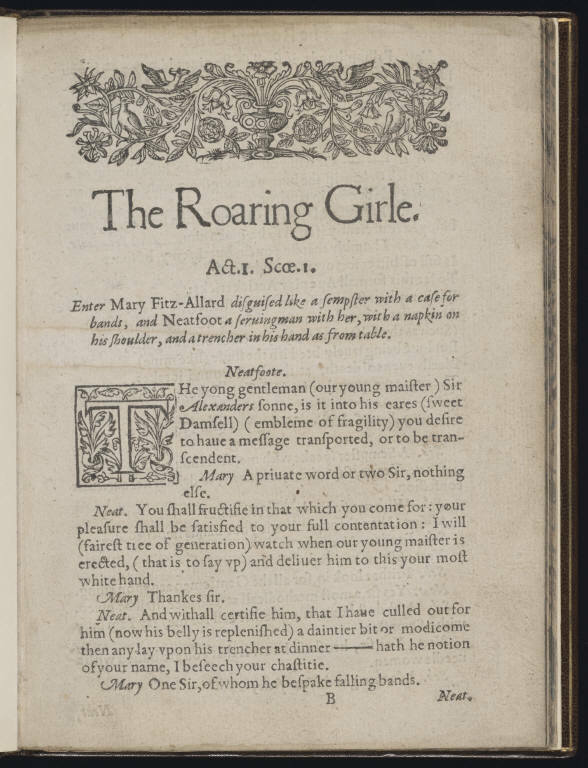 The Roaring Girl was a popular comedy around the time Shakespeare was writing, and it opens the door onto a genre of drama far different from anything we encounter in Shakespeare’s plays. 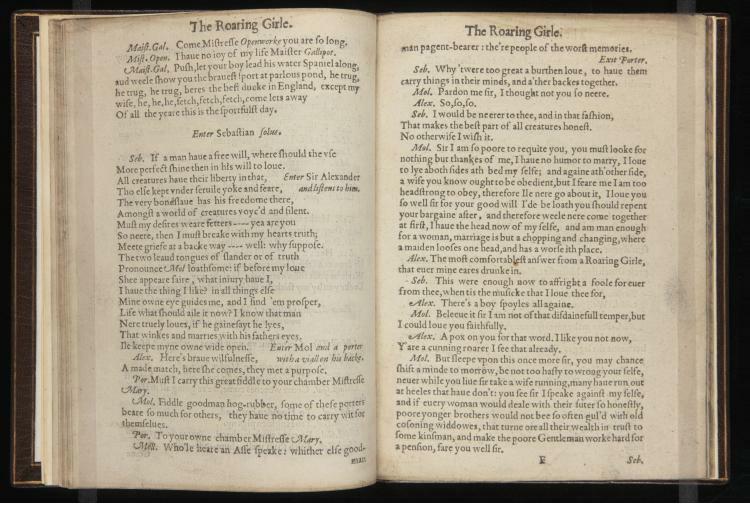 The play centers on the day-to-day lives of the citizens of London, and it features, necessarily, a form of theatrical dialogue that is colloquial and contemporary as opposed to the more poetic, even artificial language of Shakespeare’s most memorable characters. 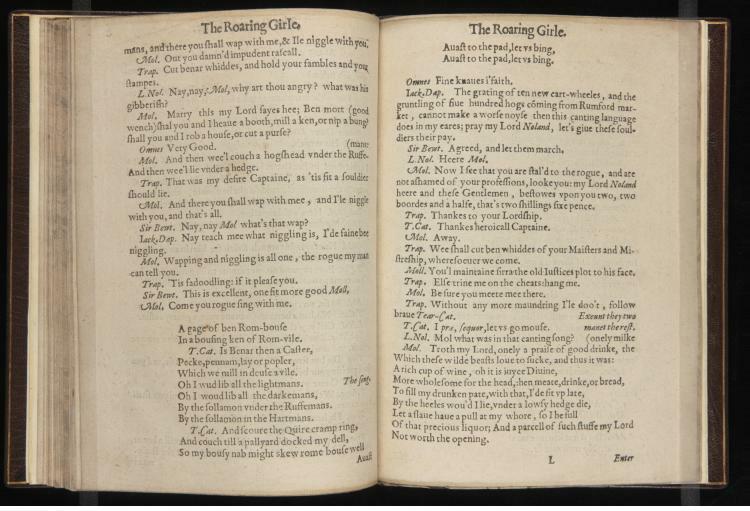 It features, too, a local celebrity of the time, Moll Cutpurse, the “roaring girl” of the play’s title, who famously dressed in men’s attire, smoked a pipe, and haunted London’s underworld.